Generally HR jobs are rare in UAE and freshers especially find difficulty in getting a good starting job.But now there are various openings coming daily basis for HR jobs - both freshers and experienced, but not known in public. 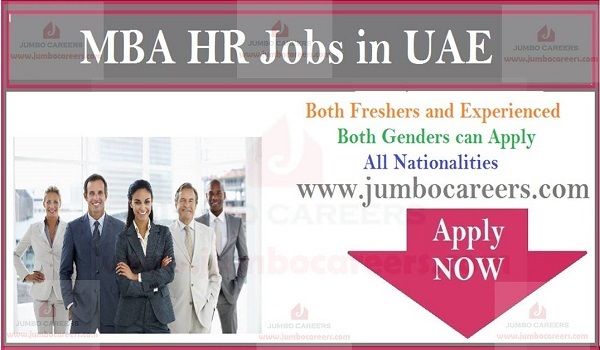 So we jumbocareers will be sharing various HR job openings happening in UAE from April 2019 onwards. HR Freshers and experienced HR professionals can regularly search in this section for latest HR jobs in UAE for freshers and experienced section from now on wards. We update HR jobs ads time by time. Make sure that you have “Refreshed” this page. So you never miss any further updates.